I use a great natural remedy for night terrors and fatigue. My children get very restless and tired during the summer. Summertime is great for so many reasons. We love getting out of the house and participating in local activities. My boys are busy with summer camps and swimming lessons. My only complaint about summer time —> the long hours of daylight. This can leave my little dudes tired and VERY restless. Lately, I have noticed that by dinner time they are ready for bed. This is not a good thing! 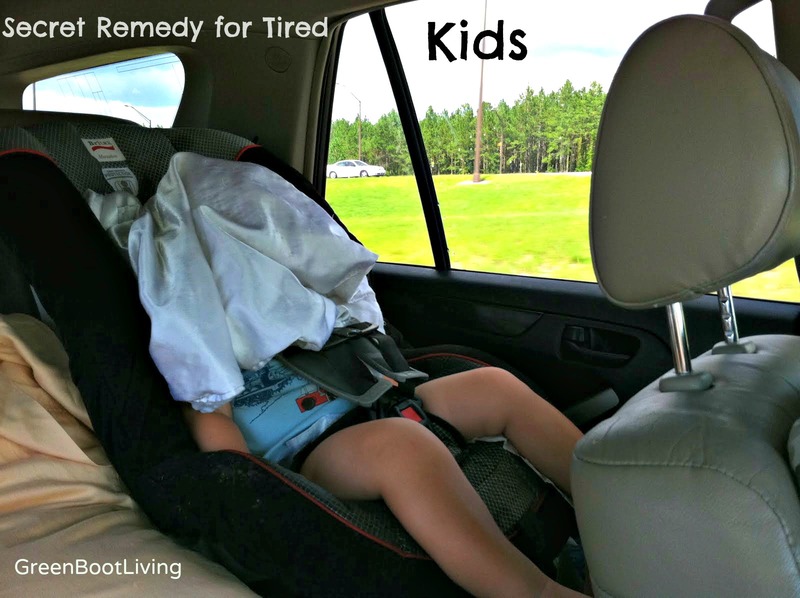 If they are too tired to eat, then they are not eating enough nutrients and the cranky cycle repeats itself. Even bath time is sometimes skipped because they have already hit “the wall”! The little monsters inside of them are surfacing and Mommy does a quick wipe down with a wet towel. Sounds bad right? I finally sat down and analyzed the situation. I realized that the extended daylight hours were making it tougher for my boys to go to sleep…. even though they are even MORE tired. In the winter my boys were in bed by 6:30 pm every night. This was not hard because the sun sets at 5 pm. It seems like their bedtime has been slowly getting pushed back. First I let them stay up to 7 pm. Then 7:30 pm. Then 8 pm. And even 8:30 for my oldest son. Trying to be a cool fun mom can sometimes backfire! In my case, it was a double backfire with terrible results…. fighting, short tempers, backtalk, and really bad attitudes. There goes my awesome summer right out the window! So I decided to take charge of the bedtime routine again. This did not result with songs of praise from my boys, but brought out even more discontent. This Hyland’s classic soothes and relaxes kids while targeting the causes that inhibit healthy sleep patterns. It specifically helps with night terrors, restlessness and growing pains. “This medicine is designed to safely and effectively counteract mental and physical restlessness in children. Studies show that 69% of our children under 10 years of age are prone to some kind of sleep problem. This doesn’t mean that your child needs to suffer.Calms Forté 4 Kids addresses the causes that inhibit a child from sleeping well. Your child won’t wake up groggy like he or she might, when given over-the-counter drugs containing diphenhydramine (such as Benadryl®). This is significant for school-age children who need to be alert first thing in the morning.